IMAGINE THE VAST ARRAY OF BOOKS assaulting your senses when you walk into a bookshop. At least half a million books are being published each year in the U.S. and the U.K. alone. (Imagine for a moment: the already-overcrowded U.K. market is flooded with 17,000 new titles each month!) Which book catches your attention? Which book are you going to purchase? And if you are a Malaysian author with your book displayed somewhere in the bookshop, what are your chances of your book being picked up and bought by a potential book buyer? After all, every book buyer is constrained by budget and interests. You must never shortchange the book buyer because he is smarter than you think. When it comes to writing, there is no such thing as a free meal. You’ve got to seek and gather the ingredients, and cook the meal yourself, and hopefully, there will be people not only willing to eat it, but enjoy it as well! Or else, everything goes to waste. Nowadays, whether we like it or not, the marketplace decides everything. The days of writing what you want to write or feel like writing are long gone, a thing of the past. Sad to say, whether in Malaysia or in the U.K. or the U.S., the publishing industry today no longer takes a long-term view of the books they publish; promotion is where the power lies. Most books die from lack of exposure, from lack of marketing support, from failure to capture the public imagination, from lack of strategic placement or shelf space in bookshops, etc. Writers have to write what the market demands, but with their own style and variations. Of course, every now and then, something unexpected turns up and stuns us with its freshness and originality, and the literary world is all the better for it. Contrary to popular belief, excellent books, fiction or otherwise, are still being written and published in these dismal times; however, sadly, most of them tend to get lost in the pile or submerged in the chaos of modern bookselling, especially in a business culture that tends to promote established writers only. The whole process of publishing a book: sourcing for manuscripts, typesetting them, editing them, packaging them, blurbing and endorsing them, soliciting endorsements for them, printing them, etc., can be a heady experience. However, the publishing industry is more often than not commercial than creative. There are actually lots of wonderful ideas floating around, but we cannot do them simply because we are not sure if they would sell. Also, most manuscripts, in reality, are mediocre, and there aren’t many good ones to choose from. What are Malaysian publishers looking for? What are you good at? What are you interested in? Malaysian publishers do not publish poetry, that’s for sure. Local publishers tend to go for nonfiction rather than fiction. The probability of getting your manuscript published is much higher if you write nonfiction. Nonfiction is wide-ranging and includes biography, autobiography and memoir, history, politics and current affairs, business, economic and finance, cookery (food and drinks), popular culture, film, pop, health, parental and childcare, gardening, personal development and self-help, philosophy and religion, psychology, sport, travel, etc., but not all genres are viable. But that doesn’t mean that you can’t write fiction. The decision to write fiction or nonfiction really depends on each individual and the quality of one’s output and whether the publisher is willing to take a risk on you. Not all writers can handle fiction. Some can handle both fiction and nonfiction equally well. And some can only do nonfiction. 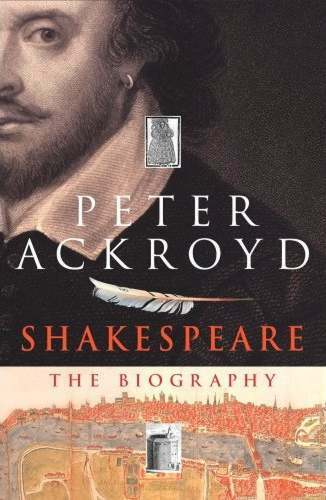 Writers like Peter Ackroyd and Andrew O’Hagan seem to switch between fiction and nonfiction with ease. If you are (or have been) a regular columnist with a newspaper or magazine, or you have written lots of articles or features for a variety of papers or magazines, your probability of getting published is very high indeed. Firstly, you most probably have enough material that has been edited. Secondly, you already have a potential audience that can be further tapped. And thirdly, I believe it is a sin to waste newspaper columns, especially those that are well written, insightful and have enduring or universal appeal. (Imagine finding your well-written article being used to wrap market stuff the next day!) When first published in the papers or magazines, these columns are usually brief, haphazardly written and not well edited due to the nature of the newspaper publishing business with their deadlines and all. Once these are compiled, arranged thematically or chronologically, revised, expanded, rewritten, updated, fact-checked and properly edited, they make excellent reading. 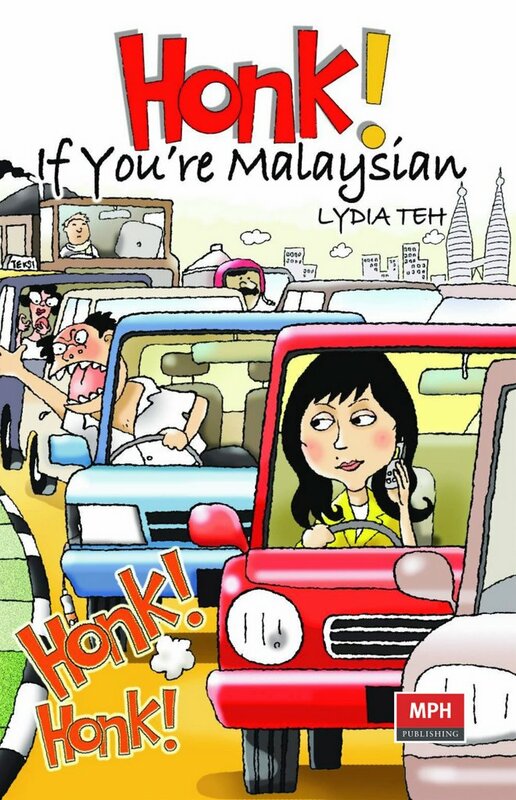 Some examples include Lee Su Kim’s Malaysian Flavours (1996), Lydia Teh’s Life’s Like That (2004) and Honk! If You’re Malaysian (2007), and Adibah Amin’s As I Was Passing I (1976; 2007) and II (1978; 2007). Or Chia Joo Suan’s What’s in Your Food? (2004) and You’re What You Eat (2006). Book compilations also give readers an opportunity to catch up on the columns they missed for one reason or another and to reread the pieces they enjoyed reading the first time. Publishers love them because they can be produced fast and have enduring appeal. If you are serious about writing, practise writing book reviews, articles and other features for the newspapers and magazines regularly. Only by writing regularly will you be able to accumulate a body of work that might impress a book publisher later. Keep on rewriting your work even after they have been published in the newspaper or magazine. Remember to constantly add length, breadth and depth to your articles. Inventing plots and characters in fiction is more constraining than writing nonfiction. Writing fiction—the whole creative process—can be very difficult and demanding. Physically and mentally, it takes an enormous effort of imagination. Writing a good sentence—or a paragraph, for that matter—is not as simple as we think. But that doesn’t mean that writing nonfiction is a breeze either. Both fiction and nonfiction demand research, perhaps less so for fiction, but then, it depends on the kind of fiction one intends to pursue. Coffee-table books are wonderful ideas, but they are costly to produce. With coffee-table books, you have to marry text with graphics and photographs. You must have a flair for creativity: the text must be descriptive and creatively written, the photographs must be laid out creatively, etc. It is a time-consuming affair. Photographs are expensive. The paper you print on is expensive. Colour printing costs money. And when you put it in the bookshop, they are pricey. And it has to compete with lots of remaindered coffee-table books which are very much less expensive. Are they feasible? Are they viable? They look great when they are displayed in the bookshops, but will you buy them? Books on the learning of the English language are constant sellers in Malaysia. There is always a demand for such books. You may turn good speeches or theses into full-length books. The important thing is to organise and expand them (if necessary) and edit them as thoroughly as possible. Speeches and theses by themselves are badly organised, repetitious and inaccessible. Only by organising them logically and editing them brutally will they be accessible and readable to a general readership. Malaysian publishers love biographies of Malaysian corporate and political personalities. They also love opinion pieces. These are some nonfiction options that Malaysian writers can explore. If you do not have enough material for a book, what writers can do is to opt for joint authorships. Write in conjunction with another writer who explore similar themes. WRITE WHAT YOU KNOW OR DON’T KNOW? People always say, “Write what you know.” One may also write about what one doesn’t know. The world is very much bigger and wider and more complex than our small subjective selves. One should prod and goad the imagination to go beyond. That’s what the imagination is there for. For instance, Cynthia Ozick’s story “The Shawl,” a Holocaust story, is as convincing as if the author were a Holocaust survivor herself. 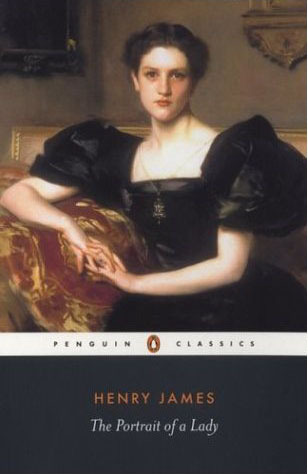 Another instance is Henry James’s portrait of an unhappy marriage in The Portrait of a Lady (1881); it is especially astonishing for somebody who was never married. 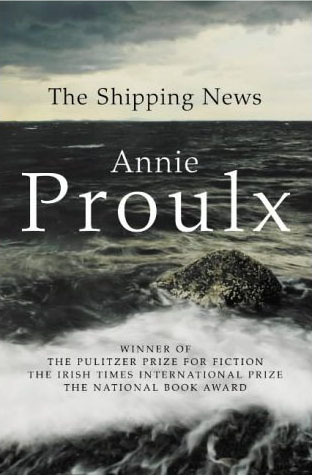 E. Annie Proulx, the author of The Shipping News (1993) and Close Range: Wyoming Stories (1999), also scorns that well-worn dictum: to write what you know. All it produces, according to Proulx, is “tiresome middle-class novels of people who I think are writing about things they know, but you wish to God they didn’t. My thing is, learn what you want to write about. Find out about it.” And “just live.” Sid Smith set his first novel, Something Like a House (2001) in China without ever having set foot in the country. 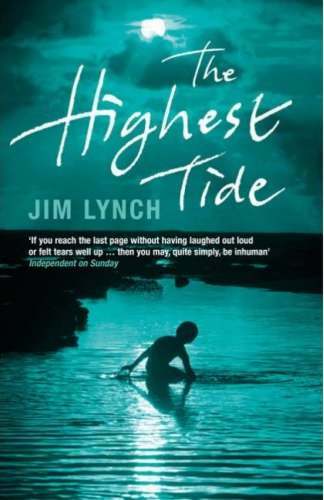 It went on to win the Whitbread First Novel Award. One of the great joys of writing is to try and explore what you don’t know. There is no one way to write. I don’t think you can write according to a set of rules and regulations; every writer is different. You can’t learn to write in that manner. What inspired most good writers really was reading, reading a lot and learning from other writers. When you are learning to write, you must look at books from a technical point of view, which we don’t usually do as a reader. You must train yourself to look at your writing with a critical, discerning eye. However, this does not mean that you can’t write what you know; Katharine Davies’s A Good Voyage (2004) is a first novel of the write-what-you-know school of thought, but she carries it off with a light, confident touch and exquisite pacing. With regard to nonfiction, what happens is that if you are a food chemist, you write about the scientific aspects of food; if you are a medical specialist, you write a guide to good health; if you are a practising feng shui consultant, you write about feng shui and the benefits of this earth magic; if you are a banker, you write something on banking and finance or a guide to managing your money, etc. These are some examples of people with authority in their fields sharing their knowledge with the public. However, you don’t have to be an expert to write certain things if you are prepared to do research. For instance, you are no expert on Asian spices, but you decide to do a book exploring the history of Asian spices and their benefits, features, medicinal properties, etc. by doing lots of reading and research into this area. Meticulous research is fine, but an overreliance on research and a lack of novelistic imagination is not all right. 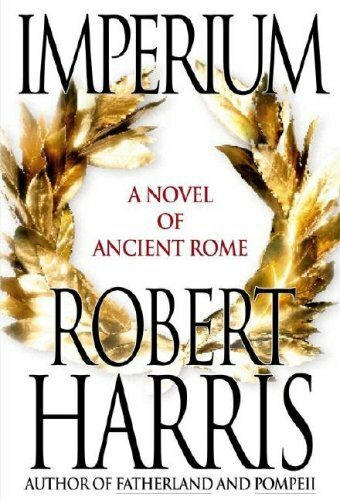 Robert Harris’s Imperium (2006) was thoroughly researched but also, more importantly, thoroughly imagined; it thus succeeded as a novel. Do away with excess research if they do not add value to your novel. In fiction, never let your research show or overshadow your story. Keep it subtle. The wonderful thing about living in these times is that we have the option of learning from the best: from contemporary authors as well as those from the past; we have the Internet to help us with the research; we have the library; we have creative writing workshops, etc. Make use of these and learn. Whether you are writing fiction or nonfiction, the first chapter is vital and always the most difficult. Publishing decisions are usually based on the first three chapters. If they don’t engage the editor or the publisher, the manuscript is as good as dead. The thing is, not every editor or publisher is willing to try something different. There’s too much at stake for publishers. A good beginning is vital. Period. There’s no two ways about it. A good beginning is vital because is starts the tone of a book until its resolution. What is at first an opening line will be echoed throughout the story, will be the theme that sustains the whole book, and will ultimately drive its characters until the end of the story. Good writers always pay attention to good beginnings. Publishers are always happy to receive submissions from new and established authors. If you would like us to consider your work, write to us with a covering letter giving us a little information about yourself and any previous books you have written or the manuscript of what you have written. Make your covering letter short, precise and concise. You must submit the complete manuscript of your work. If the publisher or editor decides to publish it, he will request for a soft copy for him to work on. Make sure your soft copy is the most up-to-date because that’s what the publisher will work on once your manuscript have been accepted for publication. If you are submitting a nonfiction manuscript, you may need to include such items as appendices, bibliography, tables and other illustrations as well. You should type your manuscript in a clear font (preferably Times Roman, font size 12) in MicroSoft Word. A manuscript of around 60,000-90,000 words—depending on subject matter, really—would be most desirable. American and British publishers demand something like between 90,000 and 120,000 words. Quote the number of words used in your manuscript on the first page of your manuscript and in your covering letter. Many people come to us with a few pages and expect a book to materialise. Some come with wonderful proposals but can’t deliver on their promises. Title your manuscript, and if you have a subtitle, include it as well. Do a bit of research to come up with the best title for your manuscript. The importance of a title cannot be overemphasised. Most potential writers lack self-editing skills. Make sure you have proofread and edited your manuscript before submitting it. Most manuscripts are so badly organised and written that editors or publishers prefer not to look at them at all. Pay attention to your grammar (go back to the basics, the building blocks of the English language), your punctuation (make sure your commas, full-stops, colons, semicolons, etc. are inserted at all the right places), tone down on circumlocutious writing, overly long paragraphs (break them up into manageable chunks), avoid clichés or use them sparingly, spellcheck the manuscript, use consistent spelling throughout your manuscript (American or British spelling, Malaysian and British publishers demand English spelling, while American publishers demand American spelling), etc. Remember what Isaac Babel said about punctuation: “No iron spike can pierce a human heart as icily as a full stop in the right place.” Read up on the basics of grammar if you have forgotten your grammar. Or consult someone who is good at grammar. Of course, all these are easier said than done. Doing your best is not good enough. You have got to go beyond. 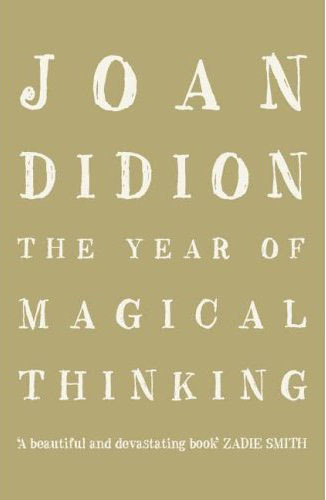 Joan Didion, the author of The Year of Magical Thinking (2005), once confessed that it often took her a whole morning just to write a single paragraph to her satisfaction. If you are writing fiction, pay particular attention to the elements that we as readers normally look for in a good book. What makes a good book? What do we look for in a good book? We hope to find an intelligent mind behind a lively prose style, a distinctive point of view and pleasurable entertainment. Originality is always important, it must have an enduring quality, a distinctive voice, gripping plots, memorable characters, language, style, inventiveness, stories that tap into the contemporary state of mind, etc. Whether you have written fiction or nonfiction, an uncluttered contents page is always useful; include it as well. Of course, it is not necessary to include a contents page for a novel (unless the chapters are titled); a contents page is required for a collection of short stories, articles or essays, obviously; nonfiction definitely requires a detailed one. This is obvious and needs no elaboration. A blurb, abstract or synopsis of 100 words (or thereabouts) of your work is vital, arranged in three paragraphs. Use an active voice when writing the synopsis. Check out the blurbs of some good books. If you are compiling your newspaper or magazine columns or articles, you will need to enclose a xeroxed letter from the original publisher of your columns or articles allowing the book publisher to re-publish the columns in book form. Normally, we take at least 1-2 weeks to respond to your submission, whether we want it or not. However, other publishers may probably take longer. Call them if you do not hear from them. Never send your only copy of the typescript to the publisher. Always keep a hard copy for yourself, as publishers do not accept responsibility for loss or damage of original material. And always save your files properly and date them. You never know when you might need them. Once your book has been accepted for publication, a contract will be called for and drawn up, and your manuscript will go through such processes as typesetting, editing and rewriting, blurbing, cover designing, printing, before being distributed to wholesalers and retailers (bookshops and newsagents). During the production process, you will most probably be required to write an introduction (if you do not have one) or preface (or both), or come up with a person to write a foreword. The cover is always vital. An arresting cover makes you want to pick it up. What it really comes to is the satisfaction of seeing your book finding a home in a bookshop. But the question is, is your book good enough to induce a perfect stranger to part with his hard-earned money to purchase a copy or copies of your book to read or to display on the bookshelf? There’s no better way to test your legitimacy as a writer than that. What I have outlined are merely guidelines. In the real world, things don’t usually don’t go according to how we want them to move. Criticism is always a difficult animal. After all, one man’s meat is another man’s poison. The publishing world is a dicey affair, a game of chance. There are good novels that are critically acclaimed, yet gone on to sell next to nothing, while mediocre novels sell by the loads despite less-than-favourable reviews. However, what new writers can do is to compare what they have written with those that have been published and have received favourable reviews. However, there are several essential ingredients that make a book good. There are several criteria of what is considered good writing. Of course, personal taste matters, too, but only to a certain extent. When you feel something undefinable when you are devouring a sentence is one way of gauging wonderful writing. There are lots of good writers, and among these there those who shine. And there are of course lots of mediocre ones. But those that shine have been blessed with a special talent and they work hard on developing that talent. The great writers of the world struggle every day with what they produce. And they have doubts all the time. Talent’s one thing, but you have to work at it. Or else it is just wasted talent. Sadly, most manuscripts are mediocre; only a handful is acceptable. The main impression, for what it is worth, is how very little good writing there is in Malaysia. That’s not surprising, really, if truth be told. Let us not kid ourselves: writing is difficult and nerve-flaying, and there aren’t many people who can do it well enough. However, if you are serious about pursuing writing, the best way to learn how to write is to read as widely, deeply, and omnivorously as possible—and read both fiction and nonfiction. Strike a balance, if possible. Thanks for this informative article on the Malaysian publishing scene. I agree with you on the problem of self-editing - many new writers need to learn that skill, which is valuable wherever in the world you are trying to get published. When we write on the page, there can be a tendency to try to be formal and literary - ie write in a fancy way. In fact, the prose can be more powerful and effective if you write what you're trying to say as if you're saying it out loud to someone: it then reads more naturally. The best way to learn to edit your work is to leave it for a few weeks then come back and pretend you are an impatient, busy and demanding reader who has just rushed into a bookshop and wants to buy a book that grabs them. Does that piece of writing do that? If not, cut everything that that gets in the way of that grab-you-by-the-collar-and-got-to-keep-reading feeling! Thanks for writing, Yang-May. And thanks for your feedback. I receive lots of manuscripts which are so difficult to read. It would be easier for me as an editor if all the basics have been taken care of by the writers themselves. Though self-editing is a vital aspect of writing, many new writers tend to neglect it much to their own detriment. If what you have written does not grab you, chances are it won't grab the reader either. 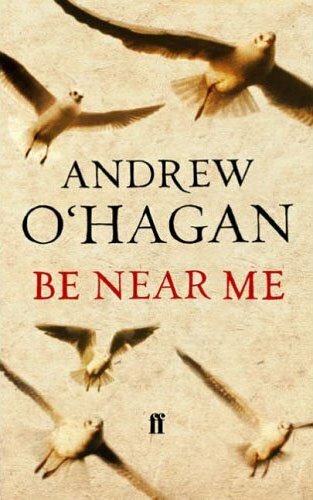 "Of course, every now and then, something unexpected turns up and stunts us with its freshness and originality, and the literary world is all the better for it." Thanks, Mr Forbes, for your most illuminating article. Hello Argus - Thanks for pointing out my boo-boo. Yes - you're right - 'stunts' ought to be 'stuns'. I think you will make an excellent proofreader! Happy reading! Thanks for sharing this comprehensive view on the publishing world. I appreciate your honest and upfront approach. Zafar - Thanks for your feedback. I very much enjoy reading your blog. I can imagine now how a child feels when it's learning how to walk! You are most welcome, Christine! All the best with your writing.